Discover more about private investigators capability, employment and regulations in Allentown. ICS provides superior private investigations throughout the city of Allentown. ICS works with licensed private investigator sub-contractors in Allentown, Pennsylvania to work your case quickly and discreetly. To begin your free consultation with a private investigator from ICS, complete the online free consultation form, or call our toll free number (888) 223-6494. Choosing the right private investigator for your case type and needs can seem a little scary, which is why ICS offers free consultations before taking on any case. ICS understands the importance of using licensed private investigators. Please feel comfortable contacting ICS at (888) 223-6494 for any private investigation inquiries. It is illegal to act as a private investigator without a license in most states, as is the case in Pennsylvania. Private investigators in Pennsylvania must receive a license through their county judge. In Allentown, this means that private investigators must be licensed through a Lehigh County Judge. In order to receive their license, applicants must pass a rigorous licensing procedure including a background check and fingerprinting. Applicants in Allentown are expected to have at least 3 years of experience as an investigator, either through a police department or through a federal government investigation agency. When all requirements have been met, private investigator applicants in Allentown must make an appointment with the Clerk of Courts, who will schedule an interview with a Lehigh County Judge and a District Attorney. Only after passing all interviews will a Pennsylvania private investigator license be granted. The requirements to become a private investigator set forth by Pennsylvania are strict, but private investigators employed by ICS are held to even stricter moral and ethical codes as a part of our mission to provide excellent service to our clients. Private investigators with ICS are licensed, bonded, and insured, and are required to maintain all continuing education requirements and comply with any regulations, restrictions, or laws governing their industry. ICS strives to give every client the best service possible, including a timely and affordable investigation, quick and accurate reporting, and the highest level of discretion. You can feel confident choosing ICS for your private investigator needs, knowing that our employees are highly experienced and qualified. If you are in Allentown but need a private investigation somewhere else in the country or the world, we will put the ICS network to work for you and will keep your case affordable, efficient and effective. ICS services all of Pennsylvania, including the following areas: Philadelphia, Gettysburg, Erie, Hershey, Gettysburg, Lancaster, King of Prussia, Norristown, Willow Grove, Wilkesbarre, Harrisburg, and more. Every region of the country has its own defining characteristics, and these traits can greatly effect a private investigation. Each case is unique, and by hiring an investigator from ICS, you will be getting a sub-contractor who knows your area and who understands that cases in Allentown may need to be handled differently than cases anywhere else. Allentown is the third largest city in Pennsylvania, after Philadelphia and Pittsburg, with a population of 118,000 as of the 2010 census. In spite of being one of the largest cities in Pennsylvania, Allentown is only the 215th largest city in the United States. 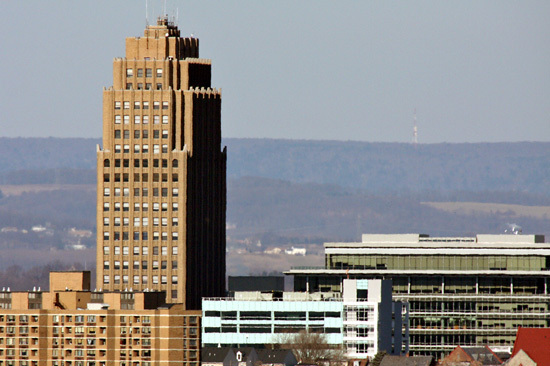 Allentown is the largest city in the area known as the Lehigh Valley, and is located on the Lehigh River. In 1962 and 1974, Allentown won the All-American City Award, which is a huge honor amongst American cities. 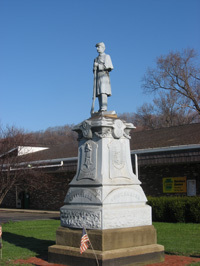 Allentown holds historical significance, like most cities in Pennsylvania, because the town successfully hid the Liberty Bell from the British during the American Civil War. ICS accepts most case types, and can serve you anywhere within Pennsylvania, from Allentown to York and everywhere in between through the use of authorized sub-contractors. If you think you see the signs of a cheating husband or wife, or you worry that your partner may be having an affair, ICS can help you get the answers you need with an Adultery, Infidelity or Cheating Spouse private investigation. Child Custody, Visitation, and Support cases are generally benefited by a private investigation, which can provide the proof you need in order to present your case in front of a judge. ICS can help you locate a missing or lost person in Pennsylvania or elsewhere, even in cases where the police were unable to solve the case. People who may want to know a little more about a lover, friend, or business partner often seek out background checks because they are a valuable and affordable tool for gathering information and making decisions. ICS is a full service private investigation agency, so please feel comfortable contacting us either online or on the phone to begin your free consultation today. ICS also provides a wide variety of surveillance and counterintelligence services, employing state of the art equipment and techniques to keep you safe and free from unwelcome eavesdropping. Another service ICS can perform is computer and cellular forensics to retrieve data or to confirm and remove spyware or other malicious software. Technical Surveillance Countermeasures (TSCM) can be taken by ICS to ensure that the technology you depend on every day is not leaking information about you, your business, or your personal life. TSCM involves sweeping for and removing bugs, and other forms of electronic surveillance. ICS also performs pre-employment screening, which can help eliminate the constant worry about the criminal or legal history of potential employees that most employers feel during the interview and hiring process. ICS of Pennsylvania has recently created a Google Plus account and can now be found in Google Locally via Google Maps, Google Local and Google Pages. ICS of Pennsylvania, Inc. assisted a client by determining the lawyer that she had retained and became romantically involved with was a fraud. Two ICS offices collaborate to complete a case for a personal injury case. ICS of Pennsylvania had another successful Child Custody Case that helped their client gain full custody over their child as well as terminate child support. The Private Detective Act of 1953, 22 Pa. C.S.A. encompasses the licensing and business of private detectives in Pennsylvania. Anyone interested in becoming licensed as a PI in Pennsylvania must apply to whichever county in which they reside. "All applicants must be at least twenty-five (25) years of age. 4. Regularly employed as a detective or as a member of a city police department of a rank or grade higher than that of patrolman for a period of not less than three (3) years. All applicants must submit with their application the statements of not less than five (5) reputable citizens in accordance with 22 Pa. C.S.A. §14. Any citizen related to the applicant by blood or marriage does NOT qualify. All statements must be notarized. No applicant who is a holder of an employment agency license may be licensed under this act. If the applicant will carry a lethal weapon as an incident with employment, proof of a current and valid certification under the “Lethal Weapons Training Act” must also be submitted to the Court." Reciprocity: Pennsylvania does not have an reciprocity with other states. Official reciprocity with Alaska - City of Fairbanks.